Australian EV charging specialist Tritium is to launch three new products this week, including a fast charger for fleets and workplaces. On display at the eCarTec show in Munich, the new solutions join the original Veefil launched in 2013, using the same technology but for different applications. 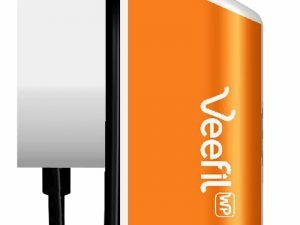 The line-up includes the Veefil WP 12kW DC fast charger, which has been designed specifically for the work place and fleet applications, using a compact and lightweight design to fit easily into existing car parking areas and charging 120km in two hours. Also new is the Veefil UT 50kW DC fast charger. Launched for energy and utility companies worldwide, the Veefil UT connects directly to the grid – said to be a first and significantly reducing installation and maintenance costs. Finally, the Veefil 22kW DC fast charger uses the same specifications as the original Veefil 50kW DC fast charger but brings more options, including suitability for locations that are dependent on a lower power supply. Approximate charging time for 120km is one hour. The Veefil UT is available now and the Veefil WP and Veefil 22kW will be ready to ship early 2017.